Cleaning Service by R & S Janitorial Services, Inc.
Do you need a reliable, experienced, and trusted commercial cleaning contractor? If so, R & S Janitorial Services, Inc.'s Cleaning Service is the only call you need to make. Since 2001 R & S Janitorial Services, Inc. has been providing the best in service and quality when it comes to commercial cleaning service and maid service. Call (914) 218-4784 today to take care of all of your commercial cleaning needs! Keeping your business clean and well organized is our top priority. The experts at R & S Janitorial Services, Inc. know what it takes to provide the best cleaning service possible, and have been doing so for over 18 years. Whether you run a large corporate business with lots of office space, or a smaller family-owned outfit, R & S Janitorial Services, Inc. has the experience and reputation to tackle all of your commercial cleaning needs. Our services are provided for all of the following and more! Commercial Cleaning Services Provided by R & S Janitorial Services, Inc.
As a cleaning service that provides daily, weekly, bi-weekly, and monthly cleaning services, R & S Janitorial Services, Inc. has the experience to complete all of your property cleaning and maintenance services. Call (914) 218-4784 today to inquire about any of our provided commercial cleaning services! 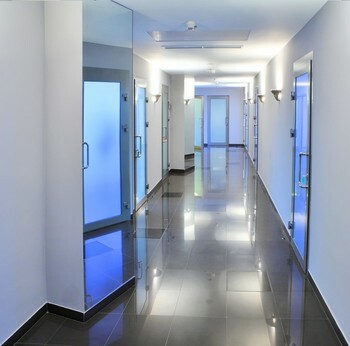 Why Choose R & S Janitorial Services, Inc.
As a professional cleaning provider for over 18 years, you will see the difference in the cleanliness of your commercial space with R & S Janitorial Services, Inc. cleaning service. Whether your commercial property requires recurring maid service, janitorial services, move in and move out cleaning, or any other services offered by R & S Janitorial Services, Inc., we have the knowledge, expertise, and experience to get the job done! Call (914) 218-4784 today for a free consultation!